In 2011, mobile saw spend reach $3.9 billion globally and 2012 is expected to hit $6.2 billion. “This is the year of mobile,” most will say. It is here – and I think everyone may have felt a little underwhelmed by it. 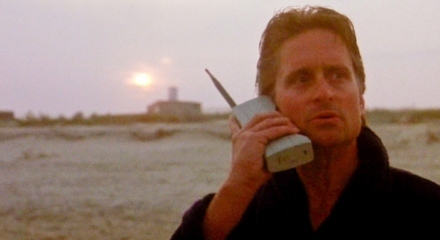 There hasn’t been a massive parade, no free USB sticks shaped like an iPhone, and certainly no trophy taking the shape of a gold encrusted Motorola Dynatac 8000x (made famous by Gordon Gekko) engraved with “we did it”. Furthermore, mobile spend didn’t overtake TV spend. However we have seen HTML5 become more important and we have seen businesses built around mobile, ad networks open up mobile inventory, DSP’s for mobile specifically come into existence, such as Strike Ad, and VC investors say, “I need a mobile start-up – stat!” CB Insights confirmed that it has reported on 102 mobile VC deals in 2011, and within those, any company with a photo or video-focus saw up to 30% of those deals. It’s been a pretty exciting few months. Technology continues to develop and proliferate, with the likes of NFC (Near Field Communication) and 5G testing. Adfonic’s second quarter AdMetrics report shows that iOS saw its market SOV decrease from 45% in Q1 to 34% in Q2, whilst Android’s share increased from 38% to 46% over the same period. UDID’s are no more on iOS, and it looks as though Apple will roll out their own tracking tool. Cookies probably won’t come to mobile in the way we imagine for Android, or other devices for that matter. Fingerprinting scares me, as there still seems to be no regulatory authority behind it and no one seems to want to step up to the plate. There have been a number of articles highlighting both the benefits and the concerns around device fingerprinting. If you’re not familiar with fingerprinting, it’s a process in which a user’s device settings are collated and then assigned a unique ID – much like a cookie – to use for tracking purposes. These settings can range from brightness settings to browser settings, time zone and fonts. It requires many more data points and therefore is not as easy for the consumer to opt out of. Until we see a regulatory company behind device fingerprinting I don’t believe it will get the seal of approval from the wider industry. I feel mobile has a lot of potential, and I don’t think we have even scratched the surface yet. Currently mobile is simple, it’s certainly the way I speak about mobile within AOD. We keep it simple because it is. I hear all sorts of industry “fixes” to solve areas of retargeting. For example, one solution making the rounds at the moment is to merge various different tracking systems like UDID and cookies (on available devices), fingerprinting, ad server log files and campaign data to give a nearly accurate view of a user across devices. This is an example of great innovation, but also potentially another layer of danger to privacy and it’s not reliable enough. What if UDID is removed from the rest of the platforms and cookies follow suit? The fixes don’t have enough longevity to provide reliability. This highlights my qualms with mobile. Despite achieving a sustainable mobile market in terms of spend; we haven’t quite achieved what mobile is really capable of achieving. I say we, because I think it’s important everyone realises no one tech provider, or genius in a basement, is going to solve this for us. Mobile, though, can be activated at scale, delivering performance and acting as extensions to your campaigns. We do have to be honest on its capabilities presently and stop trying to complicate it. If someone were to be dedicated enough to read five articles on mobile, it would become apparent very quickly that mobile is simple. Formats are still pretty limited on RTB mobile for now (300×250, 320×50, 468×60, 728×90). Some vendors have more, but if you want scale you have to go for the lowest common denominator. They do the job, but I think they need to be able to do more. HTML5 will help to answer this, but I still see creative agencies sending over flash files hindering the adoption of HTML5. On the topic of HTML5, I hope we see more companies like SOMO (Gareth Davies of SOMO recently wrote a piece on mobile), Sencha’s HTML5 tools, the IAB’s ORMMA and MRAID projects and Celtra. These companies will speed up HTML5 adoption and clients’ mobile understanding. I can’t help but think that if a creative agency wanted to revolutionise themselves and start with a great initial footing in the market they would opt for HTML5 only; ensuring they spread the message to all clients, agencies and publishers of the benefits. It might be hard initially, but you could see the long-term benefits in being the first creative outfit to do it and commit to it. A more powerful and easier route of HTML5 adoption would be if it came from the clients themselves. They need to take the plunge, it’s not even a plunge it’s a big fluffy mattress of improved creative output, design flexibility, richer executions and easier implementation. You can still back it up with Flash, but a mobile creative in HTML5 is going to start to make this industry push the boundaries and innovate on what we have already done. I have seen this start to happen, and quite recently helped a client to holistically adopt HTML5 for all their online activity. Mobile advertising was supposed to provide a connection to that constant consumer companion. Many will say it does and that their technology can pin-point users to five metres away. I believe the only ones that can do this are the carriers within their respective countries. I’m not aware of carriers that have been doing this, but I hope they do. This is the “we” part of my earlier point. There are many stakeholders in this industry who all hold very important parts to the mobile market. These stakeholders take shape in advertisers, agencies, publishers, carriers and technology companies. Each one of these stakeholders is trying to carve out their own piece of the pie. They have a right to as they got to the solution more quickly than others, but they only have the solution for their specialism. I don’t expect O2/Vodafone/T-Mobile to come up with a DSP. I expect them to find a solution to allow their carrier GPS signals to be used for geo-targeting, within another DSP in real time. I also don’t expect publishers to make mobile inventory available at cheap prices through RTB. I expect them to make it a profitable revenue stream for themselves, but also to help rectify the issues with targeting that mobile currently has. They are in an advantageous position to help; they just need to start focusing on it. I am in no way belittling what innovation has already been accomplished by many publishers; I just know there is much more to be done. On the tech side of industry, I think it’s a bit cloak and dagger. Platforms are everywhere and everyone can do everything – but we all know what is possible and what is achievable with the current state of technology and infrastructure. We need to demystify the market and start to talk honestly about what is and isn’t possible. My favourite example at the moment is geo-fencing. geo-fencing is only possible with a Wi-Fi connection, and even then, accuracy diminishes the further the device is from the Wi-Fi spot. To my knowledge, latest figures pinned Wi-Fi penetration at 73% of all UK households. Fantastic! It’s growing and it’s in the household, but what use is a Wi-Fi connection for local targeting to the mobile advertising market if someone is sitting at home on the internet? So when a vendor is asked if they can geo-fence, they will say “yes”, but they need to be honest that is based on Wi-Fi coverage that is household-based and not carrier networks. We need this level of penetration on a street level while users are outside of their homes. Admittedly, the Olympics forced the UK’s hand, and the resultant underground Wi-Fi project at least begins to bring this to stations, but it’s still not street level. Companies within our industry, and probably more outside of it, have these answers and these capabilities. We just need to start working together to join them up. O2/T-Mobile/Vodafone could open up their GPS signals to a DSP, publishers could pass more information on registration data or location in the bid request. We could remove the need for the cookie and fingerprinting all together on mobile! It might be too much to expect from the mobile market, and I’ll admit I’m glossing over a few big questions around businesses, allowing their specialisms to become part of something else. I am not ignoring areas like privacy or consumer consent, far from it; it’s only with agreement on what the potential of this market is, when all the components come together, that we can answer this subject. The Motorola Dynatac 8000x had many components to it, but the whole was far greater than the sum of its parts. I think we could learn a lot from this logic. Motorola did, and launched the first commercial mobile. I believe that if we got our collective heads, and our businesses, together we could do the same for mobile, and have a gold encrusted Motorola Dynatac 8000x with “we did it” engraved on it.